LSU will see at least five left-handed starting pitchers over its next six Southeastern Conference games against Texas A&M and Missouri. As LSU goes through a season without any healthy southpaws on the mound, Paul Mainieri had to ask himself the obvious question: where are all these lefties coming from? 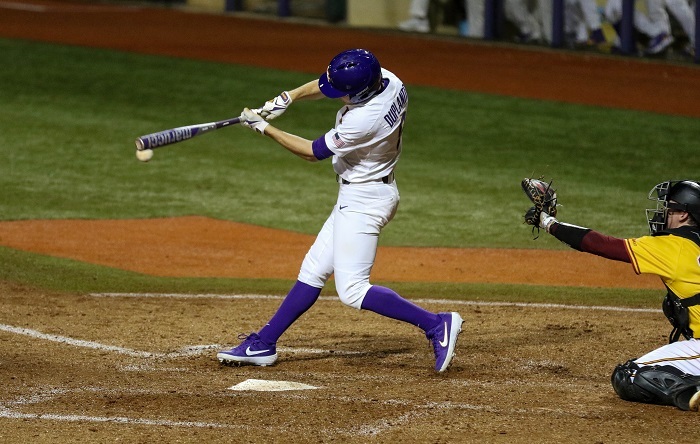 LSU conversely finds itself with plenty of left-handed hitters. Even with Daniel Cabrera out, LSU will likely have six lefties in its starting lineup as Zach Watson and whoever starts at catcher and second base figure to be the only starting right-handed swingers. Despite being so lefty-heavy, LSU hasn’t fared that poorly against left-handed pitching this season. The splits are actually comparable, with LSU hitting and getting on base at a higher clip against lefties, though their power numbers aren’t quite as good. 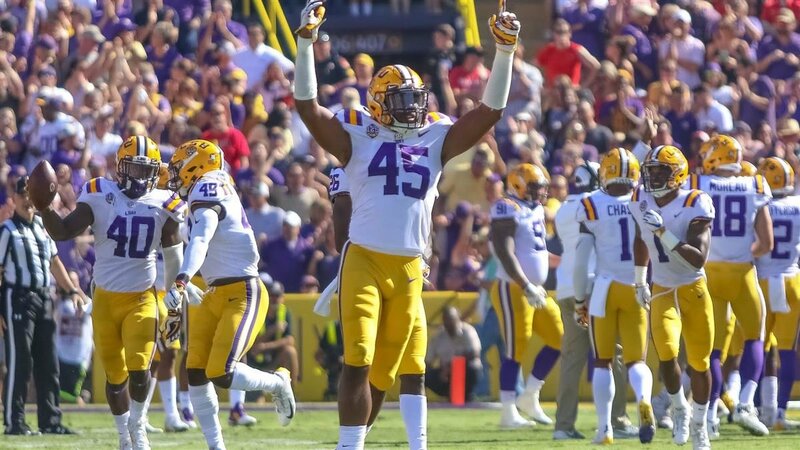 LSU has benefitted from the fact that lineup mainstays like Antoine Duplantis, Josh Smith, Cabrera and Chris Reid aren’t neutralized by lefties. Duplantis actually has a higher career batting average in left-on-left situations than he does against right-handers. The bigger question will be how freshmen like Giovanni DiGiacomo, CJ Willis and Cade Beloso handle themselves when matched up against tough southpaws like A&M’s John Doxakis (3-2, 2.38 ERA) and Asa Lacy (5-0, 1.48 ERA) this weekend. 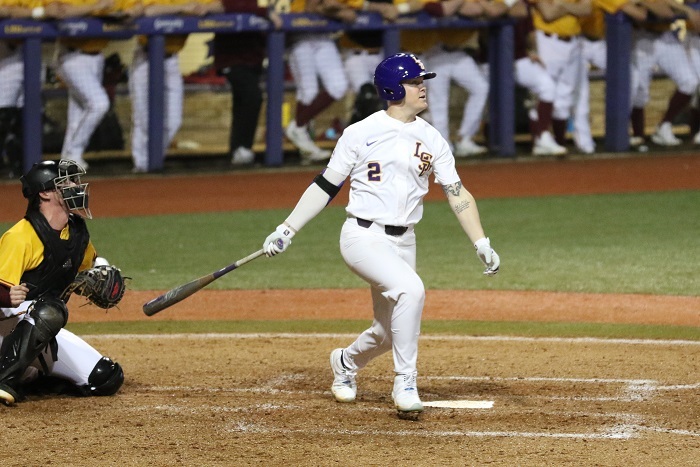 “These are three freshmen left-handed hitters that are going to have a tough challenge this weekend against some really good pitchers,” Mainieri said. LSU is doing everything it can to prepare its hitters for the unusually high number of lefties it’ll face over the next two weeks. Beginning on Monday, the staff turned the pitching machine around to feed hitters a steady diet of left-handed pitching — and lefty curveballs in particular — in batting practice. Due to inclement weather, LSU spent its entire practice Thursday in the batting cages hitting off the lefty machine. Mainieri didn’t necessarily rule out inserting an extra right-handed bat like Saul Garza or Drew Bianco, but he made it clear that Willis and Beloso has earned the opportunity to face those tough lefties this weekend. The coach also lamented the absence of freshman infielder Gavin Dugas, who hits right-handed but remains out after thumb surgery to repair a torn ligament. He’s still at least four weeks away from a possible return.